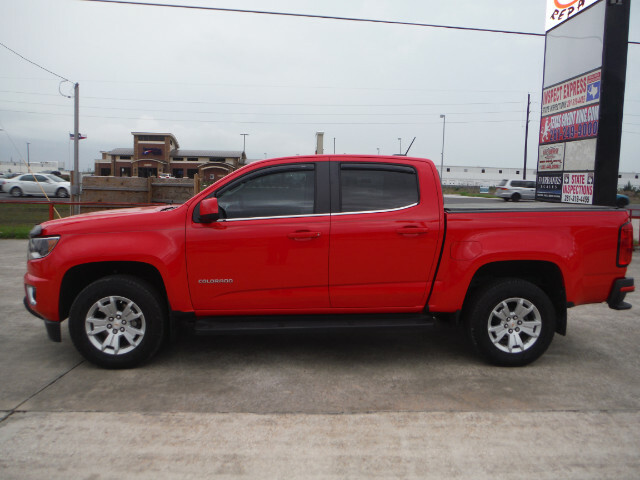 ONE OWNER 2016 CHEVY COLORADO - This truck is like new inside and out. Super nice, super clean and ready to go. Only 5,678 original miles, WOW! This truck has had all scheduled maintenance and still under manufactures warranty. 6-spd auto w/OD Transmission, 17" silver aluminum Wheels, SiriusXM AM/FM/HD/Satellite, seek-scan Radio 2 - 1st row LCD monitor, keyfob (all doors) Remote keyless entry. The large quad-cab design has plenty of room for the whole family. On-road, off-road, work or play this truck will get you anywhere you want to go in comfort and style. Come on b6y and test drive this beauty TODAY..!! Ask for Joel or Chad.